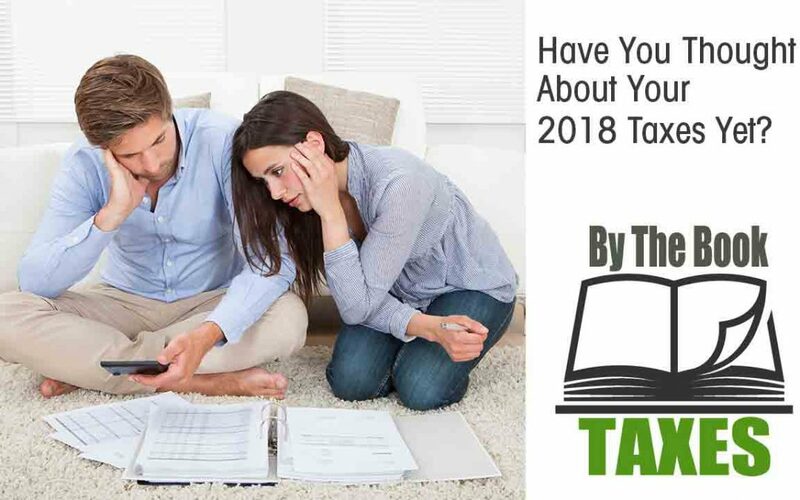 Have You Thought About Your 2018 Taxes Yet? As the days grow shorter and colder and the holidays are right around the corner, it’s not too early to start thinking about your 2018 tax returns. Don’t wait and be surprised in March or April, get prepared now and be ahead of the game. While the $10,000 cap on deductions of state and local income taxes, (SALT), got all the headlines when the tax legislation was passed last year, there are several provisions in the new tax law that may neutralize that cap and lead to lower overall tax liability for many taxpayers. Most people in the country (70%) don’t itemize deductions on their tax returns but rather take the standard deduction, except in higher income and higher tax states in the Northeast (NY/NJ/MA/CT), the Midwest (IL) and the West (CA). The standard deduction is almost doubling in 2018 to $24K (from $12.7K) for a married couple filing jointly. Similarly for single filers, the standard deduction is increasing from $6,350 to $12,000. It is expected that in 2018, 90% of individual taxpayers will now take the standard deduction. The new tax brackets for 2018 are 10%/12%/22%/24%/32%/35% and 37% compared to the prior year tax brackets of 10%/15%/25%/28%/32%/35% and 39.6%. This represents a tax break of about 2% – 3% of taxable income on incomes up to $200K for single filers and $400K for married filers. The 35% tax bracket is level with prior years and then again at single incomes > $500K and married incomes > $600K the tax rate is 37%, not 39.6% as in prior years. In prior years, the $1,000 per child tax credit (for dependents under 17 years of age) phased out for married couples beginning at $110K of adjusted gross income and $75K for single filers. That means that a married couple with a child aged 10 would receive no credit at all once their income reached $130K. That’s not a big family income where I live (lower Fairfield County, CT). For 2018, for married filers, that phase out ceiling is raised to $400K and the credit is doubled to $2,000. The phase out for single filers is $200K. A tax credit is not a deduction but rather a dollar for dollar reduction in the amount of tax liability a taxpayer owes. This provision is a big deal for people with children under 17 years of age. Self-employed people who file either a Schedule C (sole proprietor) on their 1040 or have businesses in entities such as S-Corp’s or LLC/Partnerships will love this deduction. It’s quite complicated but for single filers with taxable income < $157,500, (married filers < $315K), you will qualify for a deduction equal to the lesser of 20% of your taxable income or 20% of your net business income (called qualified business income or QBI). Above those income levels and depending on the type of business you have (service or trade/manufacturing) there are adjustments and phase outs of the deduction you may take. The less said about the AMT the better, but this provision will be a welcome surprise to many clients in my neck of the woods. For 2018 the AMT doesn’t really kick in until single filers reach $500K of taxable income and married filers reach $1MM. In prior years the effect of the AMT could be seen at incomes as low as $121K for single filers and $161K for married filers. The dirty little secret here is that in the past the IRS would add back (to taxable income) all those state income taxes and property taxes (SALT) that tax payers in high tax states were deducting and then tax that additional income at either 26% or 28%. Now that they are no longer deductible (above $10K), there is nothing to add back and tax. Combine that with higher phase in levels and say goodbye to the AMT for most tax payers. These are just several of the many provisions passed in the Tax Cuts and Jobs Act (TCJA) of 2017 but they will greatly impact many of my clients. Everyone should begin the process of speaking to their tax professional now to understand how these provisions and others will affect their 2018 tax liabilities. Also please review your withholding levels or estimated tax payments. The withholding tables were reduced in conjunction with the tax brackets. Having a lower tax rate might not result in a larger refund or lower balance due. It also depends on your level of tax withholding.